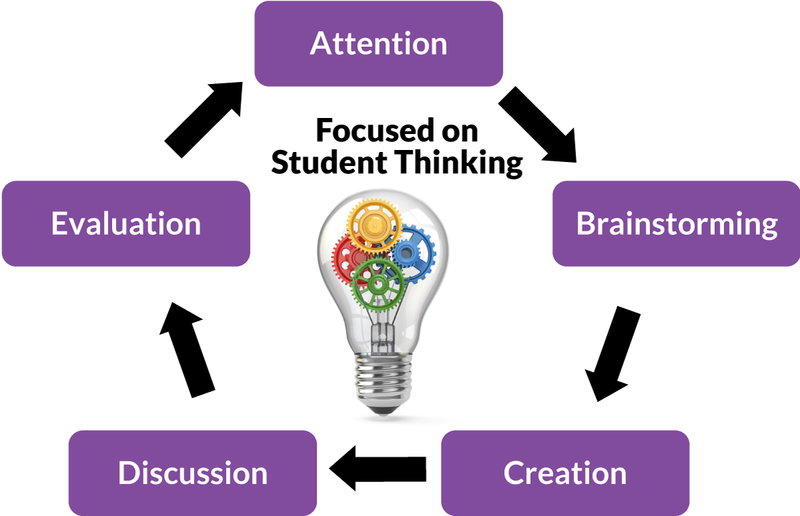 ACCESS (Applying College and Career Equity-based STEM Strategies) is an approach to professional development that is based on applying math knowledge and skills to solve a variety of problems. The primary goal is to help remove mathematical barriers to college and career opportunities. Our work toward this goal focuses on: enhancing mathematics content, pedagogy and culturally relevant and responsive teaching practices; connecting and aligning to California State Standards; and college entrance expectations and the promotion of a growth mindset for college and career readiness. ACCESS professional development is a research-based, data-informed, equity-focused, continuous improvement model. Through collaboration with teachers, diagnostic data are collected, analyzed and used formatively to support teacher practice to address student learning needs. 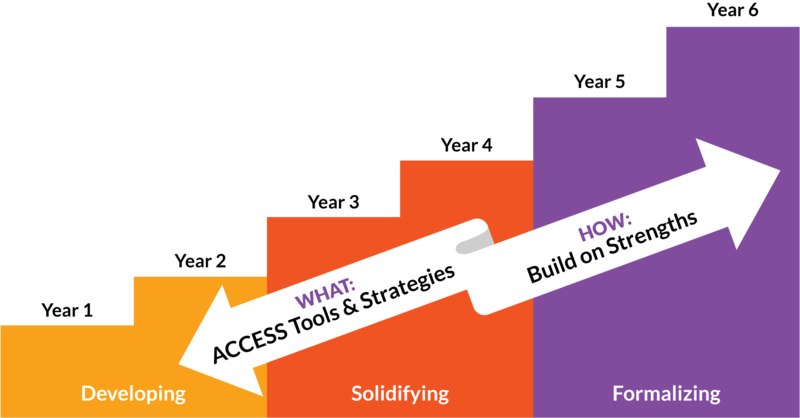 The graphic below shows the elements of the ACCESS professional development model and how they interact with each other to help students succeed in mathematics. ACCESS Content Collaborators (Coaches) co-create, with teachers, standards-based, learning materials for mathematics to address unmet student needs identified through informal, diagnostic, and summative assessments. The coaching process follows a Responsive Teaching Cycle (RTC) model. RTC is a form of collaborative planning driven by an immediate need to produce the next few days’ learning activities to accelerate learning in order to access grade level content. C.I.R.R. Learning Environments ACCESS tools guide teachers toward implementing strategies and practices within their classrooms that are Culturally and Linguistically Responsive and Relevant (C.I.R.R.) for all students. Pedagogy ACCESS tools guide teachers in enhancing and developing practices that promote mathematical habits of the mind and a college-going mindset for all students. Mathematical Content ACCESS tools guide teachers in the identification and application of essential concepts and procedures to promote readiness and success.